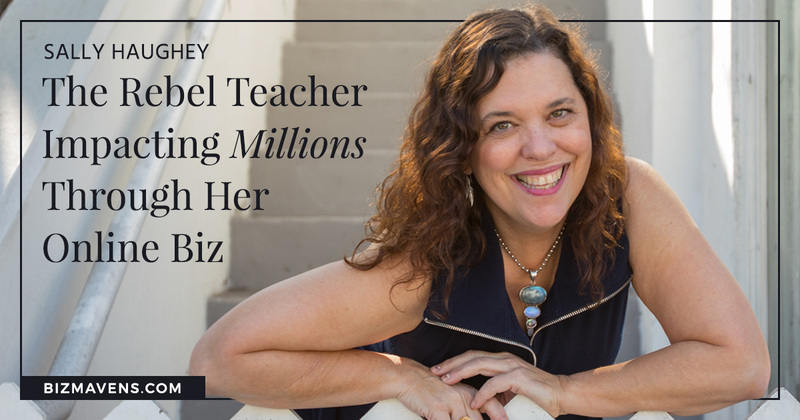 My guest for this episode turned her passion for early elementary education into an online, multi-million dollar business that impacts millions of children across the globe because she helps teachers do what they do best – teach! Sally Haughey, the founder of Fairy Dust Teaching, breaks through the traditional classroom expectations and has learned that above all else, enthusiasm is contagious. This episode of the 10X Profit Podcast will show you how you can turn your greatest talents into a money-making machine. Sally shares relevant tips on how to multiply your profits, maximize your reach, learn from “epic failures,” and focus on the true end goal for your company. I’m so proud to host Sally on this episode—it’s one of my best yet. We discuss how to make free content work for you (and when you shouldn’t give everything away), why her content marketing strategy is unique to Fairy Dust Teaching, and the importance of having a variety of products available at every price point. After listening to this episode you’ll be inspired and motivated to connect with your business and online community in brand new ways—don’t miss it! [38:52] Sally blew a fear of failure out of the water, and you can too! [56:02] Sally’s best advice for entrepreneurs – don’t miss this tip! Why Sally turned to creating a business while teaching full time, and how she tripled her salary — Every. Single. Year. Sally’s desire to share groundbreaking information on elementary education grew out of a financial need. Teaching full time only earned her $1600/month. 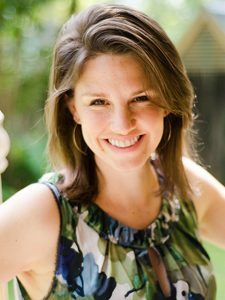 She realized that her passion for helping other teachers convey information to kids in engaging, insightful, and creative ways could be turned into a money-making venture. That’s when Fairy Dust Teaching was born. Through her first 3 online courses with hundreds of participants, Sally earned over $10,000. That was just the beginning. Now, she offers a variety of products at various price points in order to reach interested consumers at every level. Since launching in 2010 she has become a leader in the educational industry, has tripled her salary every single year, and is making more money than any superintendent in any American school district. But for Sally, it’s not about watching the dollar signs grow, it’s about watching the impact Fairy Dust Teaching has on the well-being of students and teachers across the globe. Sally’s story will help you break through the glass ceilings in your own business – it’s a must-listen. Every entrepreneur has heard the same content marketing and online sales tips from all the industry gurus. But Sally breaks that mold. She didn’t start out using social marketing, does not blog regularly, and isn’t afraid of giving out free content. Why? Because she knows what works best for HER community of followers. She and I discuss why “Not everyone needs to enroll in an 8 week pampered spa learning experience,” and how adopting this mindset can set your business apart from the rest. Her best advice for entrepreneurs? “You have to listen to your own gut about your business and pay attention to your metrics. When you identify a true, authentic passion, people WANT to be a part of that community!” Friends, it doesn’t get any better than this, so be sure to listen to this episode. Sally and Fairy Dust Teaching are so successful because she is deeply connected to every component of the business. She loves the content, is particular about the delivery, and prioritizes her team members’ talents. She is unwavering in her belief that Fairy Dust Teaching can continue to be an industry leader and is unrelenting in discovering new ways of doing better business. She’s branded herself as someone who is counterculture to traditional educational methods and she isn’t afraid of forging her own path. You too can help “unstick” people from the traditional ways of doing things by being authentic, passionate, and excited about your work. This episode will walk you through Sally’s process and I promise it’s a conversation that won’t disappoint. Check it out! I love that when Sally discusses her target market, she doesn’t see her consumer as the end of the line. She’s making business decisions based on the child who will benefit from the teacher that buys her products. As a blogger focused on moms, this perspective encourages me to think beyond the woman reading and consider how what I’m offering will affect her children and her home. Another awesome podcast, Sally is so inspiring! Glad you enjoyed it, Kelly! She’s an amazing woman.